Come along, let's have some fun! Travel Agent has the scoop on a landmark partnership between Karisma Hotels & Resorts and Margaritaville Holdings to develop a collection of all-inclusive Margaritaville resorts. The agreement introduces Margaritaville, an All-Inclusive Experience, by Karisma, which will include new resorts built in beachfront destinations throughout the Caribbean and Mexico. Mandy Chomat, executive vice president of sales and marketing for Karisma Hotels & Resorts, tells Travel Agent that groundbreaking on the first hotel will take place this year with an official opening expected around late 2018 or early 2019. Although Chomat would not tell us exactly where the first Margaritaville, an All-Inclusive Experience, by Karisma resort will be, he did tell us the first hotel will be in either Mexico or the Caribbean. In fact, Chomat tells Travel Agent that such Caribbean destinations that are being considered for future Margaritaville resorts include Punta Cana, Dominican Republic; Jamaica, The Bahamas and Antigua, where Karisma recently announced expansions plans to back in December. As far as Mexico goes, Chomat tells Travel Agent that there is heavy interest in developing on the country’s West Coast, specifically Los Cabos. Chomat says that although he expects the new brand to be the most popular amongst Millennials, he did note that Jimmy Buffett, the musician who made the “Margaritaville” song and brand famous worldwide, has fans, aka “Parrot Heads,” that span generations. Combining coastal-luxe design and decor with top quality food and beverage in tropical destinations, Karisma and Margaritaville will aim to deliver a vibrant, world-class all-inclusive experience inspired by the lyrics and lifestyle of singer, songwriter and author Buffett. 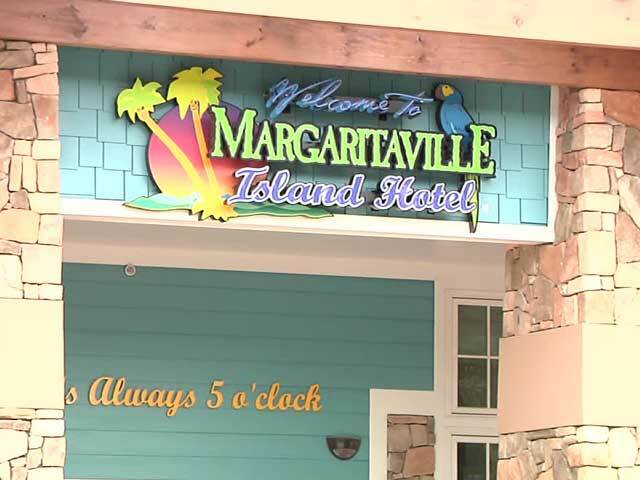 The debut of Margaritaville, an All-Inclusive Experience, by Karisma, will mark a handful of exciting milestones for Margaritaville, including its first all-inclusive resorts, which will be some of the largest properties in its growing hospitality portfolio. Visit www.karismahotels.com and keep visiting www.travelagentcentral.com for all your latest Caribbean news. Take it Coral Reefers, here we roll! PPHC Anniversary Celebration January 25th! Join Us! Are you kidding me? Smoothies & Supplements? Palmetto Parrot Head Club celebrates 21 years!